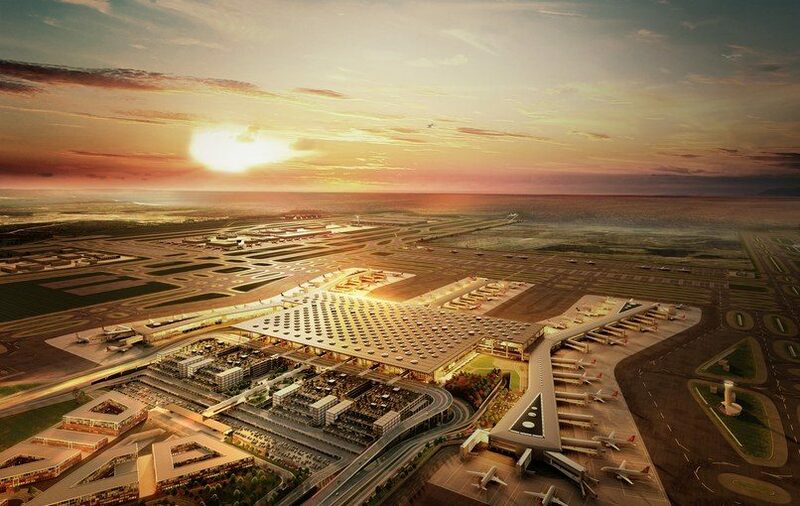 The world’s biggest airport has just opened on 29 October in the Arnavutköy district, on the European side of Istanbul, 20 miles outside the city along the coastline of the Black Sea. At 1.6 million square feet, larger than the size of Manhattan, the airport sets the record for being the largest in the world. 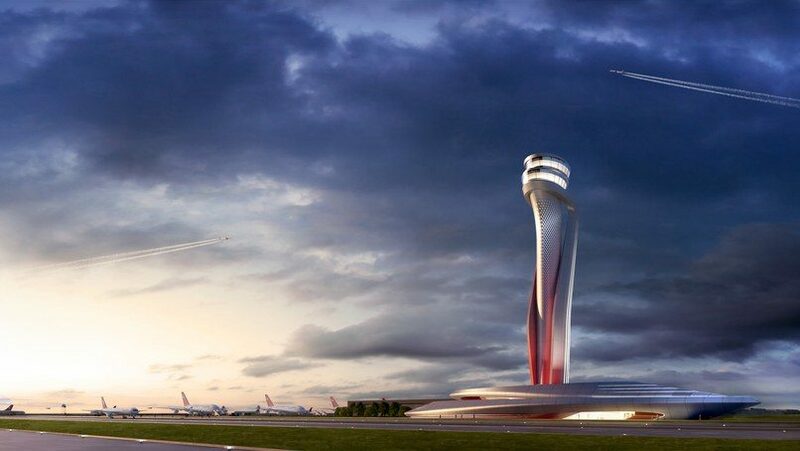 Called the Istanbul New Airport, the building is set to replace the decades-old Atatürk airport once it completely opens by the end of the year. Eventually, the new airport will accommodate more than 200 million passengers. The airport was designed by London-based firm Grimshaw Global, the same minds behind large-scale projects like Melbourne’s Southern Cross Station, Oman Botanic Garden, and Zurich Airport. Its architecture was inspired by the historically rich city and its stunning blend of ancient and modern architecture, with an emphasis on colour, patterns and lights. Its home to the world’s largest airport terminal under one roof, with a generous plaza and efficient traffic forecourt on the landside, rail, metro, bus, coach and parking all flanked under a vaulted canopy dotted with skylights. The main terminal’s transit hall follows the shape of the Bosphorus Strait. The control tower is shaped like a tulip. The control tower was designed in the shape of a tulip, Turkey’s national flower, and became especially popular during the rule of Sultan Suleiman in the 1550s. The inspirations for the project were derived by how light penetrates buildings and the Ottoman Süleymaniye Mosque, somewhat reminiscent of the lattice-like skylight at the Louvre Abu Dhabi. Additionally, the project will also be eco-friendly, boasting 22 LEED-certified airport buildings that will consume 21 per cent less energy and 40 per cent fewer water resources, and built with an environmentally-friendly material. The windows, for instance, will have low thermal transmittance, allowing for more efficient heating and cooling. The country’s official carrier, Turkish Airlines, is expected to transfer the bulk of its operations to the new airport by the end of the year, when Atatürk airport shuts down. Only a handful of flights will be operating daily out of the new airport.